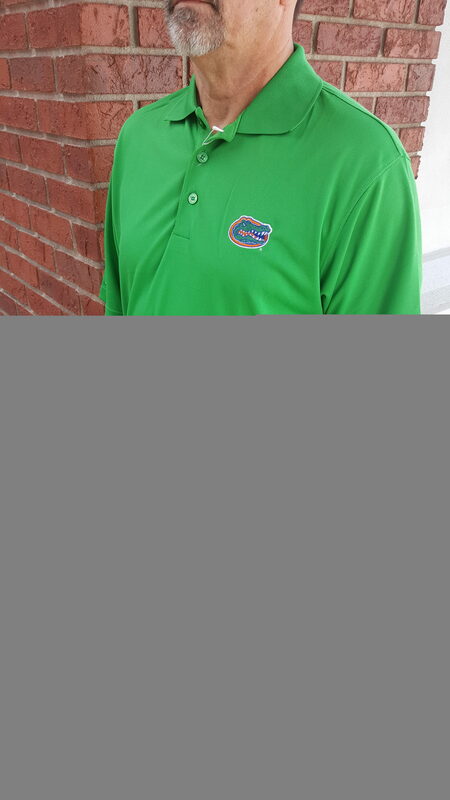 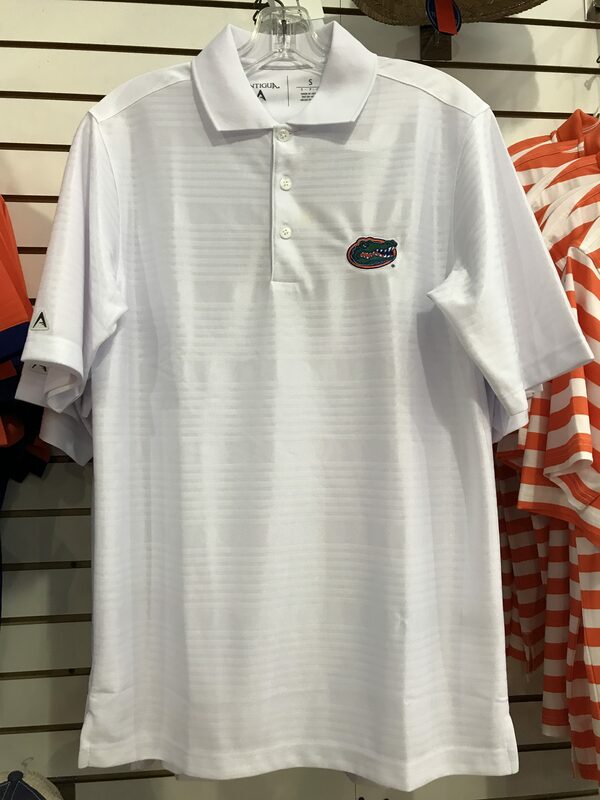 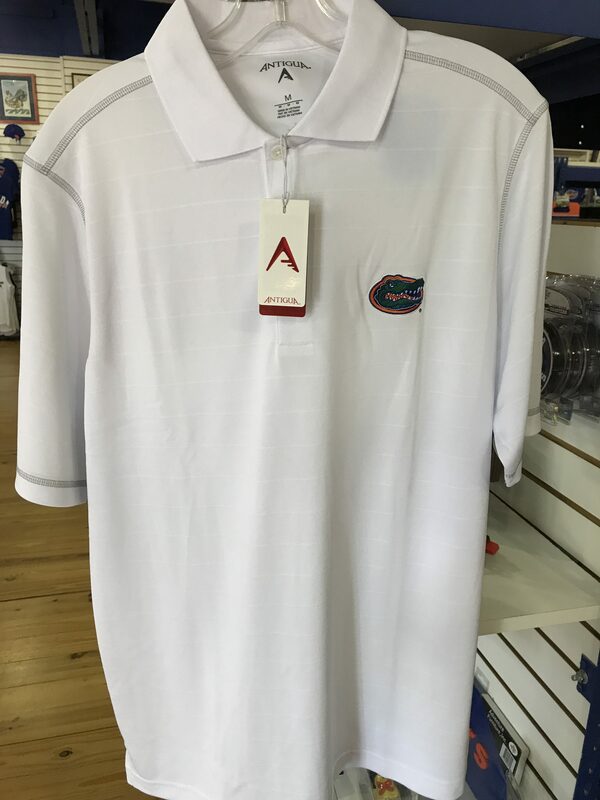 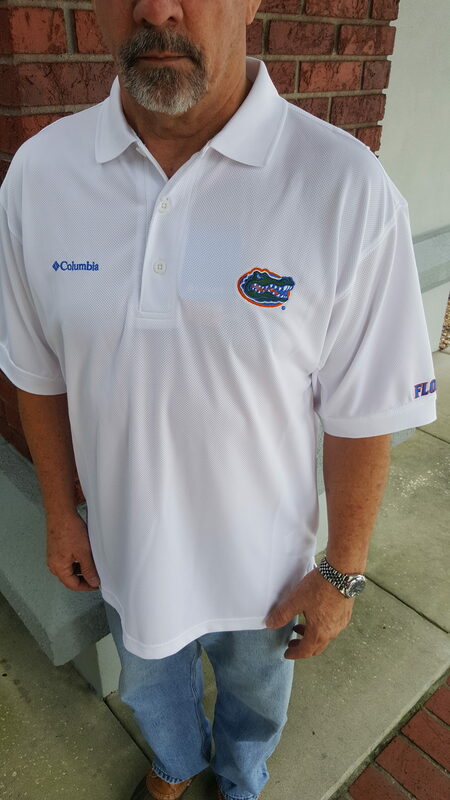 Gators Stripe Polo. 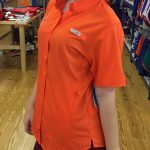 Available in White, Smoke, Dark Royal (Blue), Dark Pine, and Dark Mango (Orange). 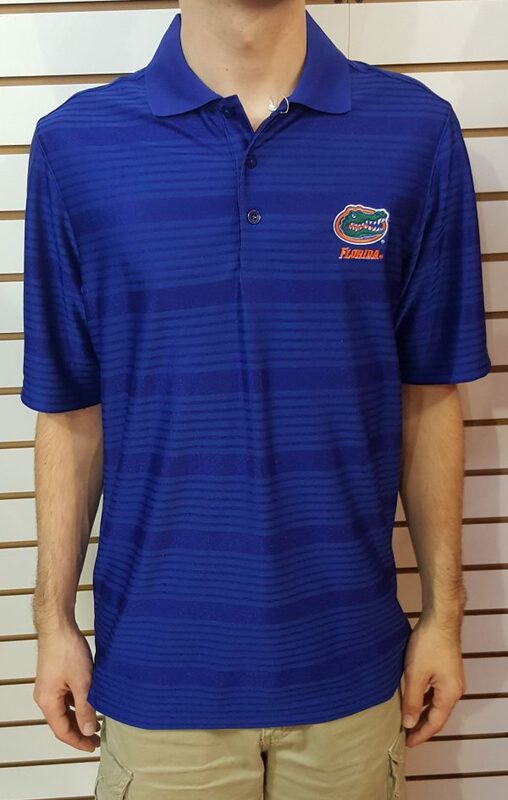 Gators Stripe Polo. 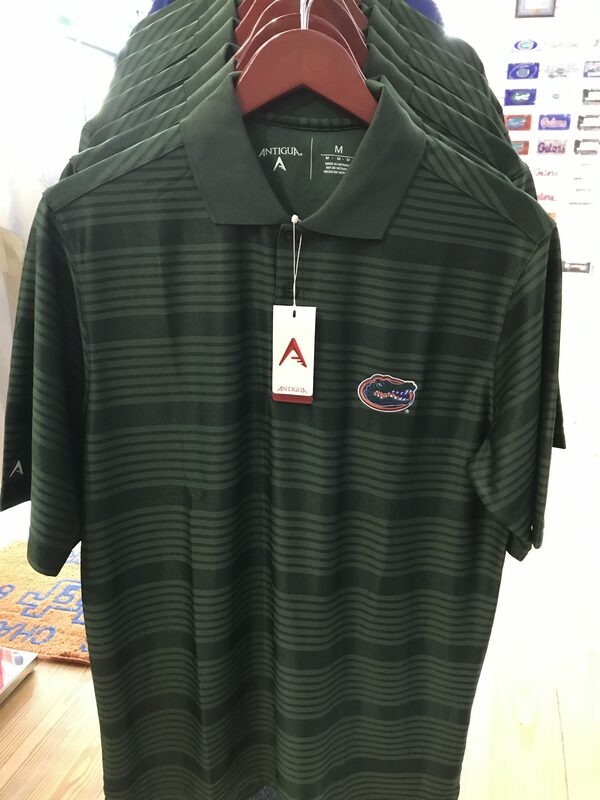 100% Polyester by Antigua. 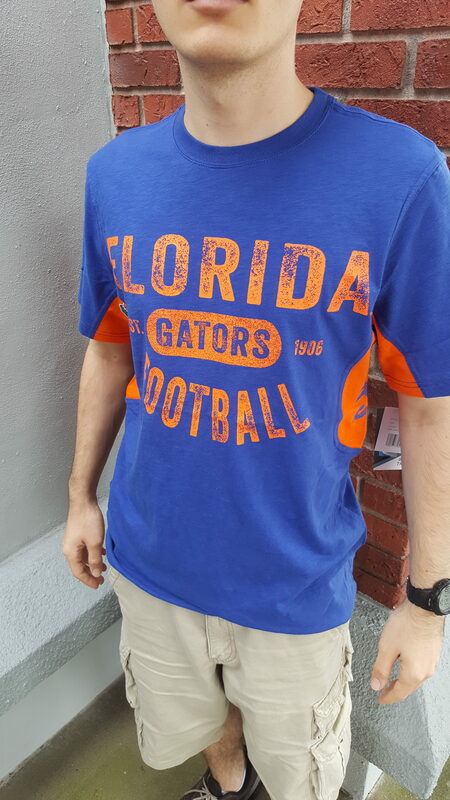 Gator head logo on left chest. 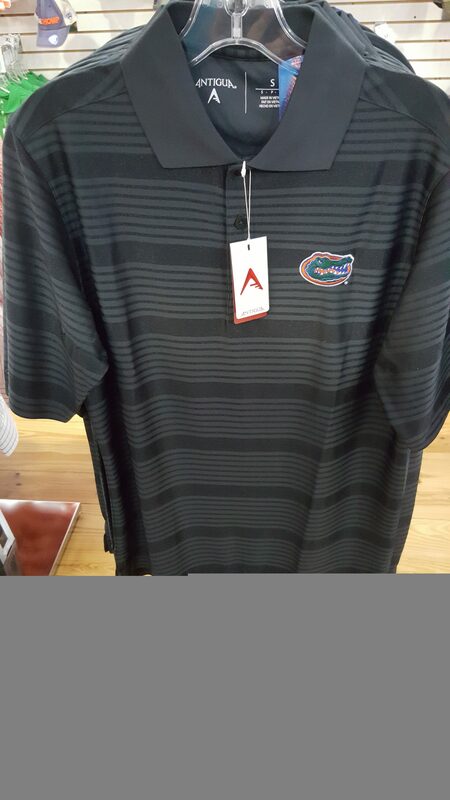 Horizontal stripes of alternating thickness. 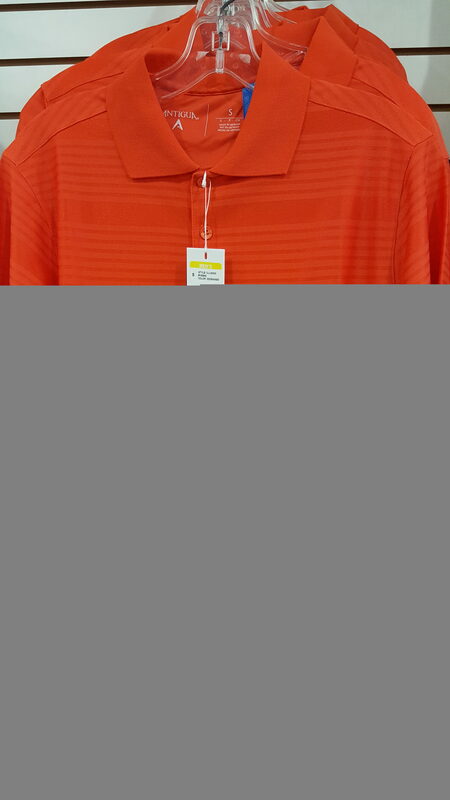 Three button collar. 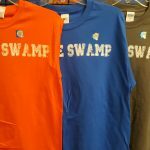 Available in White, Smoke, Dark Royal (Blue), Dark Pine, and Dark Mango (Orange).